The first Guardians of the Galaxy film established that the Ravager Yondu was hired by Peter Quill’s father, to bring the young Peter to his biological father, after the death of Peter’s mother. Yondu admitted he breached his contract with Quill’s father on the grounds the father was a “jackass.” No rules on anticipatory breach of contract have a “jackass” exception, but Yondu was correct to do so on other grounds. As we learned in Guardians of the Galaxy Vol 2, there were other reasons for Yondu to not return Peter to his father. Spoilers ahead, so do not read further if you have not seen Guardians of the Galaxy Vol 2. Meredith Quill stated on her deathbed that she intended Peter to live with his grandfather until Peter’s father returned for the boy. Meredith was not married to Ego the Living Planet, and it is not clear if Ego ever met Meredith’s friends or family. Moreover, it is unstated whether Meredith listed Ego on Peter’s birth certificate. As Meredith had sole custody of Peter, it is reasonable she could have stated in a will her intent that Peter’s father should have custody of Peter. However, if Meredith had known the truth about Ego, she would not have ever intended Peter live with his biological father. The Uniform Child Custody Jurisdiction Act is enacted in every state in the United States. As Peter was born and raised in Missouri, The Show Me State would have been Peter’s “home state” for a court to decide who had custody of Peter. Mo. Rev. Stat. § 452.445(4). Ego would have had multiple challenges in bringing a petition to assert his parental rights over Peter. First, hiring mercenaries to kidnap a child from Earth would qualify as “reprehensible conduct,” and a court would decline to exercise jurisdiction over Ego’s case. Mo. Rev. Stat. § 452.475(1). Moreover, courts will not give a person custody of a child if they have caused the death of another child through abuse or neglect. See, CA Welf. & Inst. Code, § 300(f). The mass grave of intergalactic children would be Exhibit A to Ego’s unsuitability as a parent. Additionally, a Missouri Court would not be obligated to recognize an “out-of-state” decree from Ego himself, as the United States does not have any treaties or formal relations with the Living Planet. Mo. Rev. Stat. § 452.500. As there were limited legal means for Ego to take custody of Peter, Ego resorted to hiring Yondu to kidnap Peter from the lawful care of his grandfather. 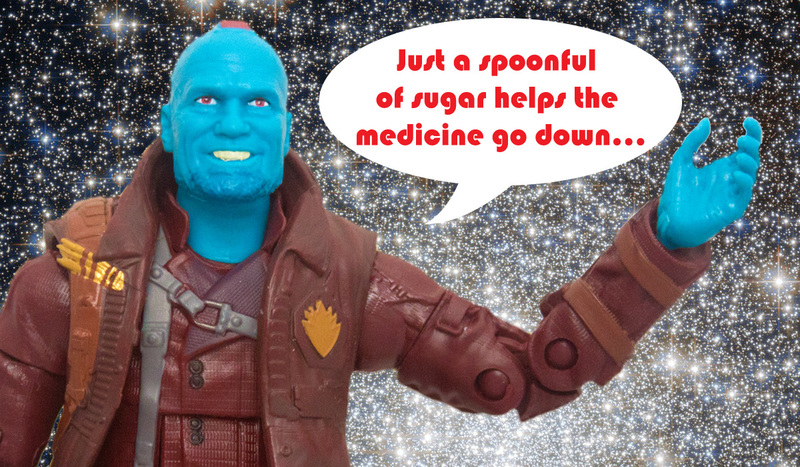 Yondu had been hired multiple times by Ego to bring Ego’s children to his planet. Ego further represented that the children would not suffer; as such, Yondu arguably did not have actual notice that all of the children he brought to Ego the Living Planet were going to be killed. However, kidnapping children was one of the forbidden crimes for any Ravager (and parents in the United States). Moreover, Yondu should have been alerted that something was wrong with delivering multiple children to never be seen again to Ego. While Yondu could have justified to himself he was helping reunite children with their father, at the end of the day he was wrongly kidnapping children. Yondu arguably had constructive notice that Ego’s children were being killed, because of the number of children who disappeared after being delivered to Ego. If Yondu suspected that Peter Quill was going to be killed, not delivering Peter to Ego was the correct action. Furthermore, there is a legal exception to kidnapping if a person takes or conceals a child in order to protect that child from “imminent danger.” See, CA Pen. Code, § 207, subds. (f)–(f)(1). Yondu could have reasonably believed he was in a better position to protect Peter from Ego than Peter’s grandfather, because Ego was an “imminent danger” to Peter’s life. However, no Missouri judge would ever rule in favor of a child being raised by a space pirate instead of a grandfather, in order to avoid the child being used by the biological father to conquer the universe, who also murdered the mother of the child in the custody dispute. Yondu made the right decision in breaching his contract [criminal conspiracy] with Ego the Living Planet, albeit extremely late after multiple other crimes had been committed. Despite those shortcomings and teasing the Ravager crew wanted to eat Peter, Yondu seemed to be a good dad for a space pirate.